According to a new Gartner forecast, 8.4 billion connected things will be in use worldwide this year — an increase of 31 percent from 2016. The IT research firm expects that number to reach 20.4 billion by 2020. 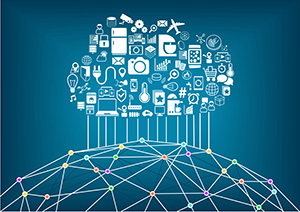 Much of that connectedness will come out of the Greater China, North America and Western Europe regions, which will account for 67 percent of the overall Internet of Things (IoT) installed base in 2017, Gartner predicted. Consumers will be the largest group of IoT users, representing 63 percent of overall IoT applications in 2017, while businesses are expected to employ 3.1 billion connected things this year. "Aside from automotive systems, the applications that will be most in use by consumers will be smart TVs and digital set-top boxes, while smart electric meters and commercial security cameras will be most in use by businesses," said Peter Middleton, research director at Gartner, in a statement. Consumers may purchase more IoT devices, but businesses will spend more dollars on IoT overall, Gartner said in a news release. "In 2017, in terms of hardware spending, the use of connected things among businesses will drive $964 billion. Consumer applications will amount to $725 billion in 2017. By 2020, hardware spending from both segments will reach almost $3 trillion." In addition, IoT services spending (including professional, consumer and connectivity services) is forecast to reach $273 billion this year. "Services are dominated by the professional IoT-operational technology category in which providers assist businesses in designing, implementing and operating IoT systems," explained Denise Rueb, research director at Gartner. "However, connectivity services and consumer services will grow at a faster pace. Consumer IoT services are newer and growing off a small base. Similarly, connectivity services are growing robustly as costs drop, and new applications emerge." More information is available in the Gartner reports "Forecast: Internet of Things — Endpoints and Associated Services, Worldwide, 2016" and "Forecast Alert: Internet of Things — Endpoints and Associated Services, Worldwide, 2016," as well as on Gartner's IoT Hub.